We can not stress as too how important this 120HWCP20CB is on a repeat offending panel caused by lightning. All homeland security National Guard facilities in the State of Florida has these on their Fire-lite panels. If you look at the diagram, with out this device, low voltage surge suppression is useless under any name brand. This insures that you have enough impedance on the phase and neutral line to create an alternative path way for your low voltage surge suppression devices to work properly. The clamping voltage of this in-series device is incredibly tight. 198 volts at peak voltage on a wet day, and normal peak operating voltage is 170 volts. On a dry day, 238 volts. Testing of this nature is done according to IEEE-C62.41 Cat. B3/C1 at 6000 volts @ 3000 amps. FA 30 VB (Class B) (24Volt to 28 Volt) zones and intelligent loops, Dry contacts, & between buildings ……………………...The FA 30VB works extremely well with the FCI E-3Systems RS485. FA 30 BH (24V to 28 Volts @ or over 2 amps of current) Horns Strobes, & power for loop circuits. You need two for you RJ31X, one for primary phone line and one for backup line. UL listed and is for the power ground or case ground. 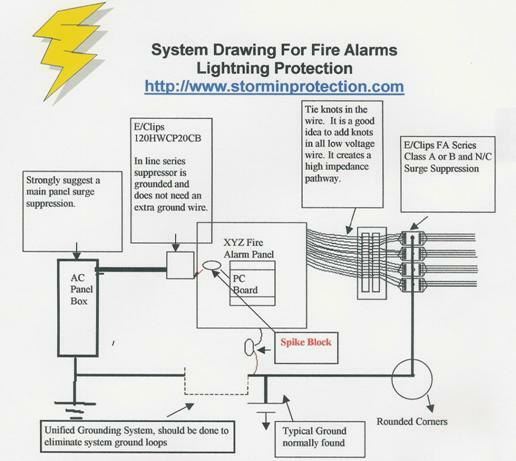 The only UL listed device in the world that will eliminate ground loop problems caused by lightning that causes ground faults or false alarms. This is actually a notch filter and will not allow anything below 50 Hz (pumps, motors, HVAC noise and impulses to feed back loop into the panel. It will not allow anything above 2.2 GHz or the lightning spectrum to enter the panel from the ground side, of either the case ground or AC power ground. Think of it as a check valve, and only allows grounding one way. Excellent for use in the Lightning Capital of North America or anywhere else with a high epidemic of lightning problems. If you are currently using surge suppression on a fire alarm panel, an it is not working, then we have an opportunity to prove that in-line series hybrid, two tank circuit design protection with three stages is the only way to go. We will never recommend parallel surge suppression for any security devices. It would be impossible for this product to not work. It will cost a lot more then what you are use to, but your chances of success or achieving 100% protection is more likely to do so with this technology. We do not have to advertise this product, tech support by most of the Fire alarm manufactures will recommend E/Clips products. This problem has grown considerably in the last ten years. When the manufactures stopped using linear power supplies this problem has escalated big time. The only cure was to use a True-Online UPS. The cost was so prohibitive. 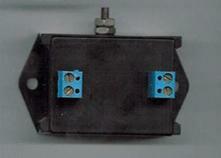 This invention was designed primarily for this and also it deals with other heavy loads that affect the 20-amp circuit. The RJ31X auto-dialer is extremely sensitive to ground faults. Nothing will work on it except the Optelator. 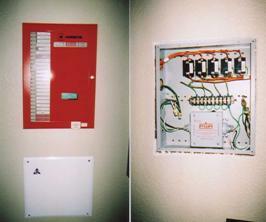 We have solve the problem but in most cases the phone company will not fix the ground loop, so this unit will work. See the fiber optic page for the info. Complies with all UL requirements.